More than a year since losing his wife after the motorcycle they were travelling on was hit by a car, Steve Fiedtkou, who has been charged with causing her death, finally got the chance to tell his side of the story when he led his defence at his trial yesterday. 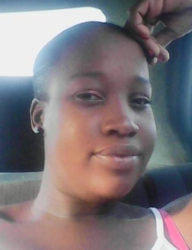 The charge against Fiedtkou states that on April 19, 2016 on Mandela Avenue, he drove an unregistered motor vehicle and thereby caused the death of his common-law wife Shawna Rice. After the prosecution closed its case, Fiedtkou was called upon to lead his defence to the charge. In sworn evidence before trial Magistrate Fabayo Azore, Fiedtkou said that on April 19, 2016, his wife called him and informed him that their eight-year-old son was missing. He noted that he immediately went home and began looking for his son. The accused said that he searched everywhere but could not find his son. Fiedtkou said Rice then told him that the only person that could have taken their son was her mother. He said that he asked her where and she told him D’Urban Street. As a result, he went on to tell the court that he did not know where he was going at the time of the accident, but he was going because he needed to find their son. Fiedtkou related that he had one helmet and told Rice that she should wait for him while he went to get another helmet but added that Rice, whom he said was delirious at the time, asked him for them to go with the bike and look for their son. As a result, they did. According to Fiedtkou, he was heading north along Mandela and the traffic light he had just passed was green. He said as he was heading across the junction with Front Road, he observed a white tinted car, which turned and hit them. Fiedtkou said that he hit his head and he fell unconscious and woke up on April 23, 2016, at the Georgetown Public Hospital. He did not know that Rice had died. He added that when he woke up, he asked for Rice to bring him food but his family didn’t tell him that she had died. However, he said on the same day two police officers visited him and asked him if he knew his wife had died. In tears, Fiedtkou told the court that he was discharged from the hospital without undergoing surgery just to bury his wife. Five months after, he said, police brought a summons to him, which claimed that he caused her death. “I would never have done such a thing because I love my child mother,” he said. “Everyone know I was looking for our son and ended up in an accident,” he added. Fiedtkou noted that the person who knocked them down never came to them. Through fits of tears, he added that he is the only parent for his two sons and if anything happens to him, he does not know what life would be like for them. “Every time I come to court, my big son worrying what would happen,” he told the court. Subsequently, police prosecutor Bess requested a date for him to cross-examine the accused. 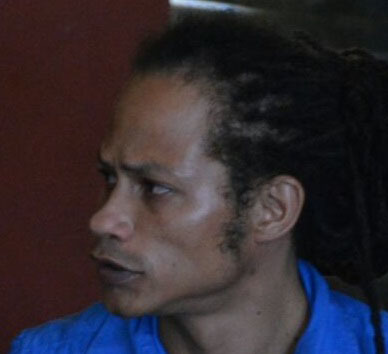 Fiedtkou’s attorney, Eusi Anderson, who appeared in court sometime after his testimony, reviewed the evidence presented and subsequently requested for his client to continue giving evidence. This request was granted by the magistrate and the matter was adjourned until October 13.